Zhongshan is still very much a ‘living’ village about 30 kms north of Si Mian Shan and an ideal place to spend the day or the weekend exploring the more traditional Chinese lifestyle. 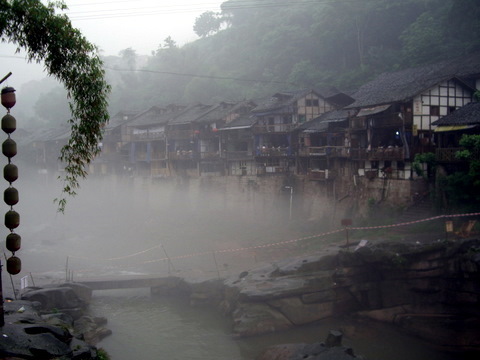 This village was once an important trading port on the small river which barely flows these days. Its single long and narrow street is lined with shops selling age-old crafts, food and drinks, antiques, dried herbs and medicines. Restaurants and guesthouses cater for a growing numbers of visitors.